I have been the proud owner of The Purple Pansy flower boutique in Chatham-Kent since April of 2002. I am living my dream by owning my own flower shop. Hi, my name is Tricia Eskritt-Xavier. I grew up in Chatham and worked for a local flower shop; realizing that this was an occupation that I had an interest in. I attended Humber College in Toronto. The retail floriculture and business classes trained me to become a full fledged florist. I worked in several flower shops in Toronto, Mississauga and Guelph, areas that trained me to become an exceptional designer. 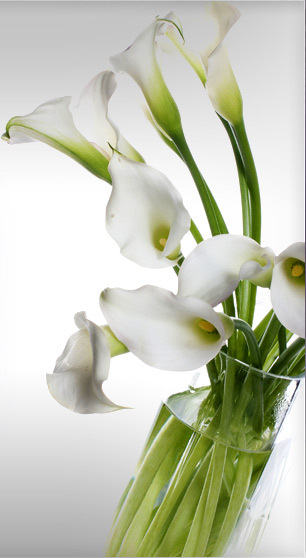 At The Purple Pansy my staff and I pride ourselves on our exceptional service; it may be our warm greetings, the stunning arrangements of flowers or the variety of delightful gifts that we offer. One thing is for sure; we are not your average flower shop, we truly are a boutique. The floral industry is always changing; staying up to date with trends in design styles as well as colors is a priority to us. We attend numerous design and gift shows to stay current. We then apply this knowledge to how the product will benefit our customers. Since opening we have been the proud recipients of two awards. The first award that we were recognized for was the 2005 Business of Excellence Award from the Chatham and District Chamber of Commerce. The second was in 2007 for the People’s Choice Favorite Business, Downtown Shining Stars, Chatham-Kent. Winning these awards has filled me with such pride. It inspires me to be the best I can and overwhelms me with gratitude that I have such a loyal customer base that acknowledges our dedicated hard work in the community. Take a look at our wedding flowers in Chatham-Kent. The Purple Pansy in Chatham create the most beautiful flower arrangements in all of Chatham-Kent. Let us create and deliver the prettiest flower bouquets that you have ever seen! Flower delivery from the finest florist in Chatham-Kent. We also deliver flowers in Blenheim, flowers to Tilbury, and wedding flowers throughout Chatham-Kent via our delivery service.